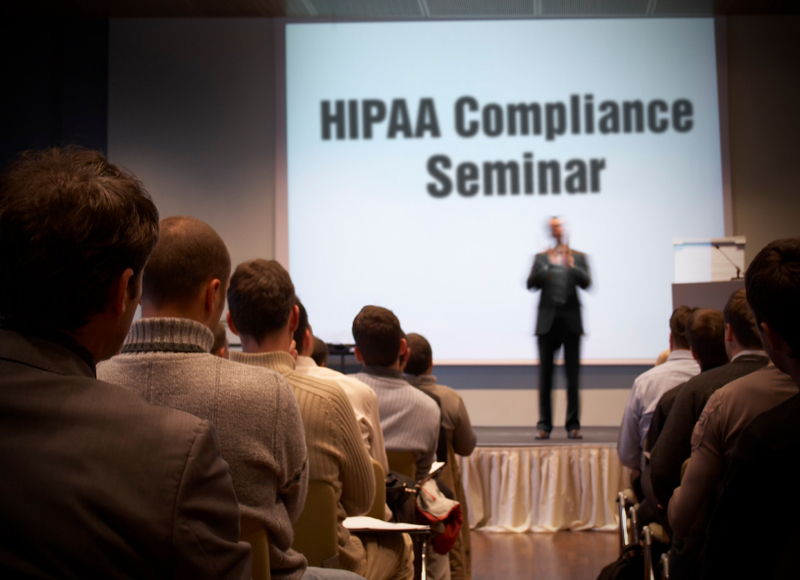 Upcoming HIPAA, HITECH Act, and Omnibus rule change seminars, webinars and private training presented by Jonathan P. Tomes. Not only has EMR Legal performed HIPAA Compliance audits, our HIPAA consulting experts have conducted HIPAA training seminars, webinars and private HIPAA training for health care organizations over 15 years. Both the security and the privacy regulations require training of all personnel, including management. EMR Legal’s HIPAA compliance team have conducted HIPAA compliance seminars or webinars for Cross Country Education, Meds PDN, PESI, MentorHealth, American Speech and Hearing Association (ASHA) , National Home Infusion Association (NHIA), MedInformatix, Healthcare Financial Management Association, Faulkner & Gray’s Automated Medical Payments Conference, Lorman Business Centers, the American Bar Association, various bar associations, and various state chapters of the American Health Information Management Association. EMR Legal’s consultants are available to come to your location to present custom tailored HIPAA compliance training for your employees and/or management in a dynamic, cost effective, down-to-earth manner, or sign up below for one of the available seminars or webinars. Use the sign up links below to schedule an upcoming HIPAA, HITECH, and Omnibus rule change seminar or webinar, presented by Jonathan P. Tomes. *To register for Cross Country Education courses, go to www.CrossCountryEducation.com.